How Do You Repair Or Replace A Car’s Dashboard? 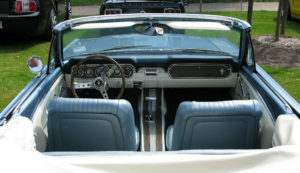 When working on any old car, you will probably need to repair or replace the dashboard. It is one area of every vehicle that gets a lot of abuse either from the sun coming through the windscreen or hot air from the heater. This can cause cracking in the surface and depending on how bad the damage is you may need to replace the entire dash rather than just repair the cracks. If you have a friend to help, it will make life much easier. Before you complete any work on a car, you should always disconnect the battery. You do not want any nasty accidents. You will then have to remove everything you can i.e. the steering wheel, glove box, instrument cluster and any screws you can see. Go slowly and carefully when removing the dashboard as it may still be attached by some screws you missed. Taking care not to damage anything now will make your job easier in the long run. A flathead screwdriver will help you to complete the job. You will need to remove the VIN tag (vehicle identification number) from the old dash as it must be displayed on the new one. Fit the new piece into the car by reusing the existing brackets and screws. You may need some new ones if the old ones are damaged. Refit the pieces you removed earlier i.e. the instrument box and steering wheel. Finally, re-connect the battery to make sure everything works properly i.e. lights, radio etc. If there are only small cracks, you may not have to replace the whole dashboard. You may be able to repair the existing one using a special kit. You will need to paint over the entire surface when you have finished but to be honest this technique only works on very minor cracks. Although it appears like more work it is often easier to just replace the dashboard than to try and repair it.